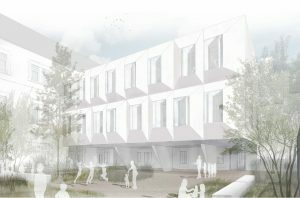 Competition – extension of the child- and youth psychiatrie for Mutterhas der Borromäerinnen ggmbha in Trier. I served as projectmanager for the competition. Please visit jimclemes.com or make contact for more info.